Roger Connors is cofounder and board member of Partners In Leadership and is a four-time New York Times and Wall Street Journal bestselling author. He and his business partner, Tom Smith, have authored the most extensive body of knowledge on workplace accountability ever written and are recognized as the worldwide experts on the topic. Roger brings over 30 years of extensive expertise in assisting senior management teams all over the world in successfully facilitating large-scale cultural transformation. Recently, his company was recognized with industry-leading awards from Chief Learning Officer magazine, receiving Gold for Excellence in Social Learning (2015) and Gold for Excellence in Content (2014). His company was also named to the Inc. 5000 fastest-growing privately held companies in America for two consecutive years, 2014 and 2015. As a pioneer on the subjects of workplace culture and accountability and an industry thought leader, Roger has developed #1 award-winning content and has published and interviewed extensively with the following magazines: Forbes, Chief Learning Officer, Workforce, Success, Training, TD, Energy Digital, and Clinical Laboratory News. His radio, television, and webcast appearances include Business Radio (powered by Wharton School), Soundview Live, Fortune 100 Executive Teleconference, CNBC’s Power Lunch, KWHY-TV “Market Talk” and numerous other broadcasts. In addition, he was a featured speaker at the Executive Office of the President of the United States in Washington, D.C.
Roger has conducted keynotes, consulting engagements, and workshops throughout the world with some of the most successful and prestigious companies. He is a highly respected facilitator of senior executive groups and management teams and has partnered with his clients to help them produce billions of dollars in improved profitability and shareholder value using the Partners In Leadership methodologies he helped create. His clients include 25% of the “Most admired companies in the world,” almost half of the Dow Jones Industrial Average Companies, all 13 of the top 13 most admired pharmaceutical companies, and nearly half of the Fortune 50 largest companies in the United States, along with many other well-known and highly regarded organizations. Roger co-authored the classic New York Times Bestselling book The Oz Principle: Getting Results Through Individual and Organizational Accountability, ranked year after year as one of the top five bestselling business books in the leadership and performance categories. He also co-authored the New York Times bestsellers Change the Culture, Change the Game: The Breakthrough Strategy for Energizing Your Organization and Creating Accountability for Results; How Did That Happen? Holding People Accountable for Results the Positive, Principled Way; and The Wisdom of Oz: Using Personal Accountability to Succeed in Everything, as well as the bestselling book Journey to the Emerald City: Achieve a Competitive Edge by Creating a Culture of Accountability. 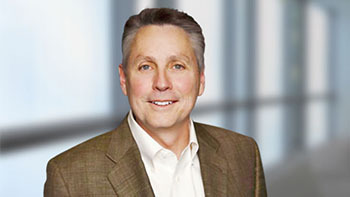 Roger holds an MBA, with Distinction, from The Marriott School of Management at Brigham Young University and a bachelor of science from the School of Accountancy at Brigham Young University, ranked as the No. 1 Accounting program in the nation by the Wall Street Journal.